Autonomy's accounting practices were talked about by senior HP executives months before a whistle-blower revealed them, according to secret emails found by the Financial Times. The British company was bought by HP for $11.1 billion in 2011. HP took a writedown of $8.8 billion in November 2012, accusing Autonomy officials of overstating profits at one of its main British units by 81 per cent. HP has insisted that it was a victim and it had no idea what the company was doing until a whistle-blower revealed what Autonomy was doing. But the FT has found emails showing that Autonomy's practice had been documented by auditors and a report was provided to HP after it bought the British software maker. Emails between HP executives showed how they knew about Autonomy's hardware sales practices. 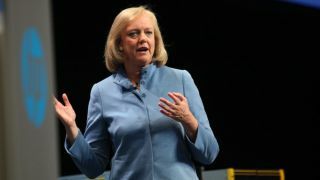 For example, an October 2011 email that included CEO Meg Whitman showed that Autonomy was having difficulties selling HP hardware, the newspaper reported. HP is still insisting that while it knew about the hardware sales practices, it knew nothing of the accounting improprieties until the whistle-blower came forward. This might be because HP is being sued by shareholders over the debacle. Autonomy's former CEO Mike Lynch said in an email to Reuters that the new revelations proved Autonomy was open and transparent with its auditors who continue to stand by the accounts. Lynch said that Whitman must answer to her shareholders with what she knew, when she knew it and how she and her senior colleagues made such factually incorrect and serious statements that were so easy to check from the audit packs. HP has contacted the UK Serious Fraud Office, the US Securities and Exchange Commission's Enforcement Division, and the US Department of Justice, and says it might file criminal charges where appropriate to "seek redress for HP shareholders." The UK Serious Fraud Office has said that it is investigating allegations of accounting irregularities at Autonomy. Although the British Serious Fraud Squad has confirmed it is investigating the case, Lynch has not been charged with anything.